The School has two computer laboratories with 40 computers in each lab accessible to students. It has advanced infrastructure in terms of hardware and software which cater to the requirements of the students, teachers and the curriculum. The school is equipped with a dedicated broadband Internet connection for enterprising students get a chance to be familiar with the Internet. They do comprehensive research for their projects and presentations. The department has qualified committed teachers to teach different classes at different levels i.e. Primary, Secondary Sr. Secondary. The faculty members make continuous efforts to see that the students must get expertise in practical implementation of tools they have in their curriculum. The Information Technology curriculum has been planned in such a way that the students of classes III to VIII will get exposure to various technologies and software's. In the primary section, the students are trained to use basic software's like Windows, MS-Office (Ms-Word, MS-PowerPoint, Ms-Excel etc.). 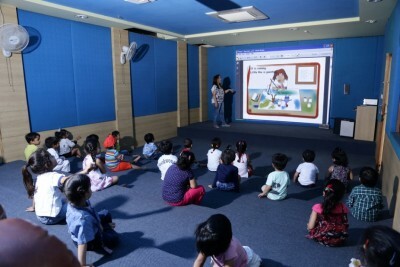 Along with this, they get exposure to computer programming at elementary stage through the computer languages like LOGO and Q-Basic in order to improve their logical skills. The students are assessed on their practical skills over a regular time interval via projects and assignments given to them. In the higher classes the students have an option to learn advanced softwares which are the part of their curriculum. The Students get exposure to the latest Multimedia softwares like FLASH, Photoshop, Image-Ready etc. On the other hand to sharpen their logical and reasoning skills, they learn computer languages like Visual Basic, JAVA and C++. Besides taking care of the curriculum, the students are given opportunities to participate in various competitions allied with Information Technology like NGC (National Graphics Championship), NCO(National Cyber Olympiad) at National level and they come to know where they stand. The faculty members work hard with the students to bring them up to the level of expectation to compete with the students all over the country. Amazing learning happens when a student himself does what the theorems he learnt in the math class. To enrich the teaching of Mathematics at the school level, the math lab has been set up. The "learning by discovery" approach is practiced here and students are made to work on projects and activities, which highlight the relevance of mathematics. They get hands on experience. 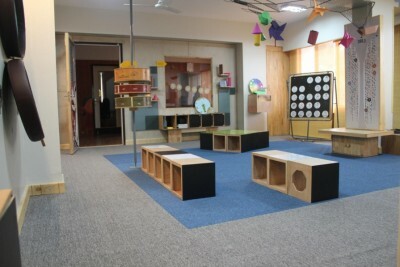 The lab also encourages group learning cooperative learning among children. It not only encourages 'do & discover' method but also removes the fear of Math and thus complements classroom learning. They not only study the various concepts, they go back to the life of the mathematician, learn about his background, his life, learning strategies, and the limited opportunities he had to work with. It inspires the young mind by emulating their example. The Audio Visual room has a capacity to accommodate about 50 people. It has a wide screen along with a projector and digital audio system. It is not only used by the students but by the teachers as well for in house workshops, guest lectures and seminars. The school has a fully equipped A/C library with a reference section, a reading room and a seminar area. It is stocked with plenty of books in various categories and a number of periodicals and newspapers. The books have been classified according to the Dewey decimal classification. The unique feature of the library is the 'Open Access System' which enables students to access any book freely. The library is also equipped with a number of educational audio/video CDs/DVDs on curriculum based topics and general studies. Library Department has initiated a unique certified reading program called "Book boom" to encourage and inculcate the habit of reading. All students are enrolled and have to go through a rigorous program of reading specified by the department and have to appear for an evaluation to get different levels of reading certificate. Oxford IIT & Medical School can boast of spacious, well-ventilated and excellently furnished classrooms to make the students learning comfortable and enjoyable. 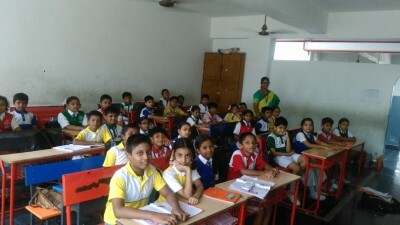 Individual tables and chairs are provided to students to make them independent and self-reliant. 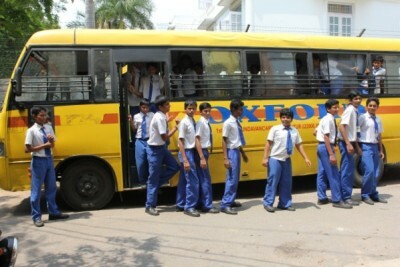 The school has a fleet of 75 buses (A/C & Non A/C) with a team of around 78 drivers and same number of lady attendants. The buses not only bring the students of the city but also from nearby areas. Students are expected to be disciplined in the bus. They should willingly accommodate the students of a particular route. It is also expected that the juniors be treated with love and affection by the seniors and faculty. Students are strictly instructed to communicate in English even in the bus. 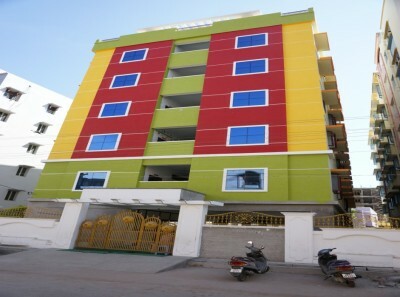 We have separate hostels for boys and girls. The hostel is a meeting point for the East and the West. Our hostel students are offered Western facilities and education, but still encouraged to retain the best of Indian Values. In the hostel our wardens closely follow of the hostel students we assist them to study in the evening. With dedicated pastoral care, we foster students who are confident and independent, able to compete with the best in the world, ready to face challenges and adjust to both people and situations with ease. Each dormitory, shared by six students, adjacent to it, has fully tiled bathrooms and toilets. The furniture includes beds, writing tables and wardrobes. Services and facilities in the hostel include housekeeping and laundry and a highly experienced Chef who oversees the preparation of food ensuring wholesome, healthy and tasty meals, low in fat, sugar and artificial additives. A varied and delicious menu is served to cater to the most fastidious of palates. Common entertainment room too is setup to meet the recess time requirements. A typical working day in the hostel begins with early morning supervised Physical Education activities, followed by a sumptuous breakfast, study, and school, with games and special academic coaching, counseling by teachers in the evening, depending on students' needs. Holidays are spent in recreational activities like team games and chaperoned visits to interesting places in the locality. These activities range from going to the movies, temples, concerts, educational visits, to sightseeing trips. The fact that teachers organize and plan the activities for the weekends says a lot about the dedicated care given to the hostellers by every member of the Oxford family. Regular get-together like barbecue nights, bonfires and formal dinner nights add spice to the hosteller's life. A team of teachers live in the hostel ensuring that students always have access to someone responsible. Each student is assigned a House Parent who takes responsibility for that child and keeps the parent informed of progress being made. The Hostel Warden also lives within the hostel block ensuring all students are well cared for and supervised. Parents and students are free to choose the boarding option that best suits their needs. Principal and few other teachers with their families are staying within the campus at a call away distance from the hostel. School management is very near to the hostel. Weekly special interaction time with the Principal gives an additional opportunity for the boarders to interact and raise their concerns. Well fenced campus and 24x7 security provided by a professional agency is another feature. In the midst of boys and girls hostel locates the dining hall building. This building consists of kitchen, store, RO system unit and separate dining hall for boys and girls. Our dining hall can accommodate over 500 students comfortably. Modern equipments are provided for cooking meals. We provide healthy vegetarian and non-vegetarian food. Day Boarding – Students opting for day boarding are provided with milk, snacks and lunch. Weekly Boarding - Students enjoy the facilities and study programmes on offer during the week and go home to their parents or local guardians at weekends. Full Time Boarding - Students stay in school and only go home when the school is closed for short and long vacations. Students are encouraged to join the school club activities such as trekking, drama, dance, sports and music. The weekends are special blend of study, free time and fun.